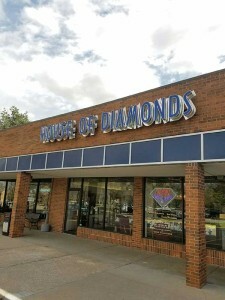 You are here: Home / Blog / General Information / The New House of Diamonds Sign! 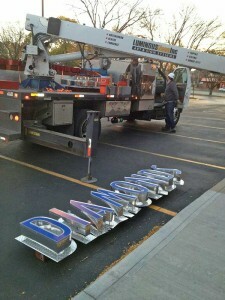 The New House of Diamonds Sign! 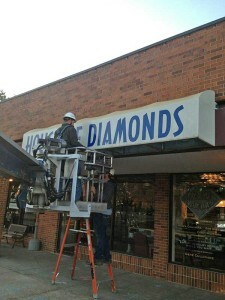 We’ve had a white awning in front of our store for the past 22 years. It has our House of Diamonds logo on it. It was past time to update our signage. 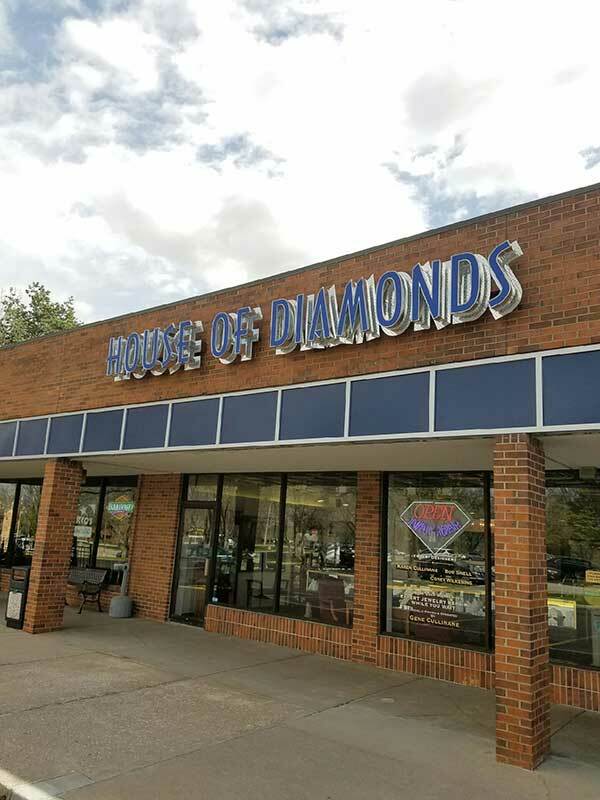 Next time you come by, be sure to look at the new sign! 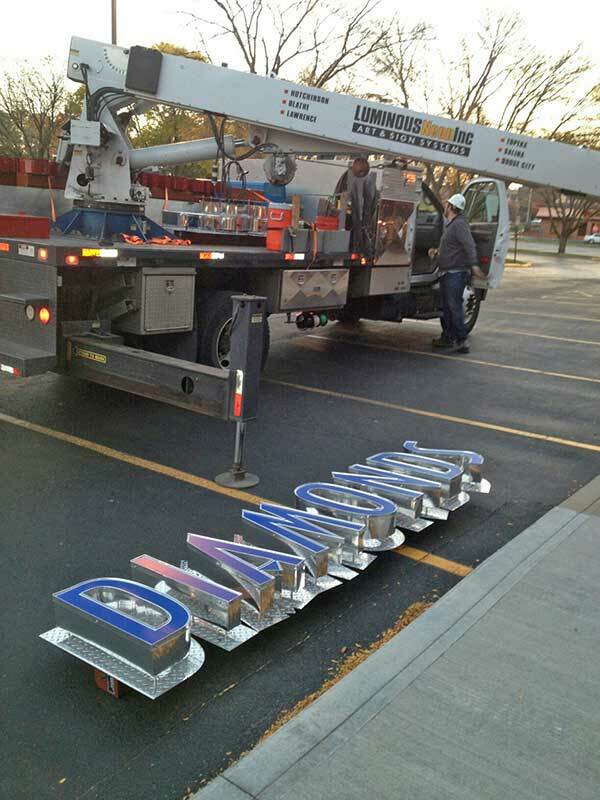 We worked with Luminous Neon Inc. to create and install the new sign. They do work all over Kansas and have done work for us in the past. We hope you agree, they do great work!